Steve – thanks for providing the MA swing in a simple format. I feel there is a lot of information, but necessary to be explained. I am working hard on the swing and have increased driving yardage by about 30 yards! 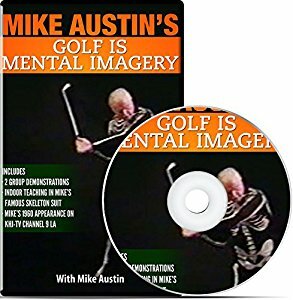 If you are looking for the best Mike Austin swing instruction, stop here. Steve really knows this swing inside out, and between his advice, and the Trackman, my shots get longer and straighter every lesson! Hey Steve I just got my Geek driver in the mail yesterday. I took it out to the range and was killing it! I need to take it to the Trackman to see how many yards I legitimately picked up but I will be shocked if its not at least 20 or more. Thanks for all your help. At 81 years old, I was told by another golf pro that old guys like me don’t hit the ball far anymore. Steve has proven him wrong by fixing my slice and taking me from 150 yards up to 215 yards. Reaching the driving range fence now seems perfectly plausible. With instruction from Steve, my scores in tournaments have dropped from the mid 90s to the mid 70s, while my clubhead speed has gone from 90 mph to 115. I’m regularly driving the ball over 300 yards straight now. This is all over a period of around 9 months. Steve really knows what he is talking about! My lessons with Steve have taught me more than any other lessons I’ve had before – and the Trackman is extremely addicting! Today Steve put a driver in my hand that went 27 yards farther than my Cobra – hence the fitting name – hititlonger.com! I just wanted to let you know that I have been working on the things you told me and I attended my first local on Sunday where I took first with a 381 yard drive. Thanks Steve for the good advice! 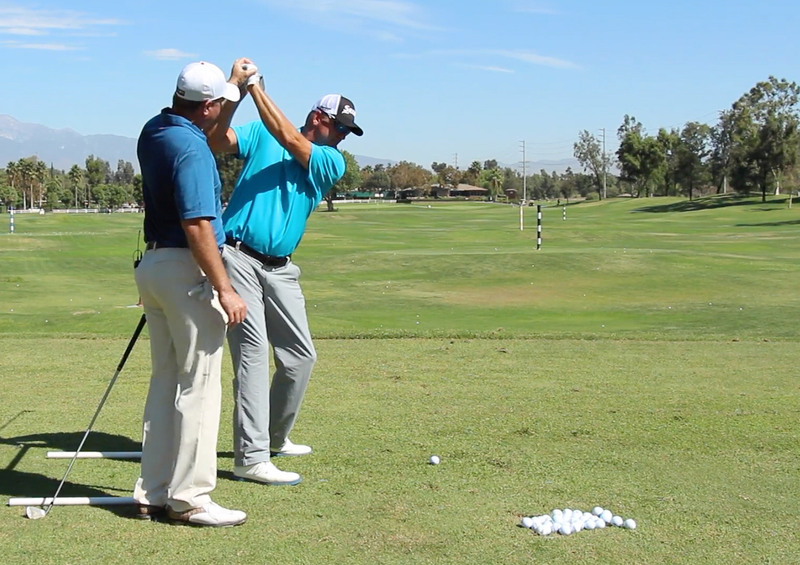 I have had one lesson with Steve and about 15 min on the Trackman and have had great results. I’ve gained yardage and accuracy with the techniques Steve has taught and it all came together last week with a new personal best…87! Thanks Steve! After one week on your site, I’ve already added length on the range! Steve, I outdrove my buds several times. When I connected, EVERYTHING was longer and more solid. Thanks again! I wish I had found your site a few years ago, it could have saved me several years of confusing golf instruction that led me nowhere. I sent an email to Steve last night with a couple videos. He responded last night and his analysis was very good. The way he can explain moves and compare the golf swing to other sports is impressive. He told me a couple of things to look at, and gave me a couple drills to do. I took it to the range today and it all seemed to click into place. Steve has a fine website and after only two days of communication with him, I will be picking his brain for as long as I can. Go Premium For As Low As 55 Cents a Day!